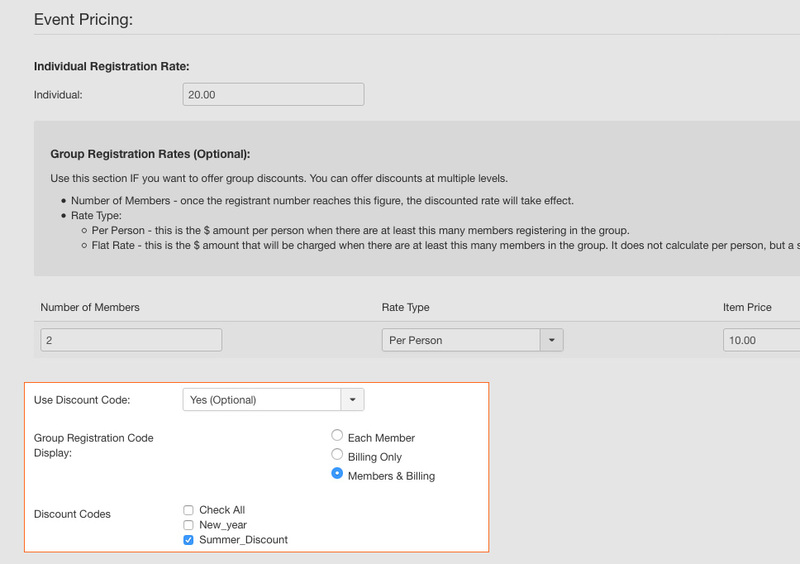 To create discount code, access Discount code panel. Update required fields for the discount code. 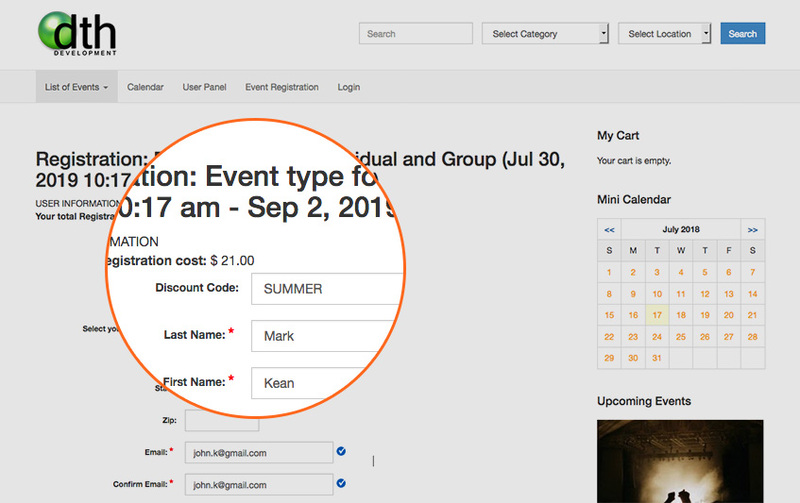 In the editing page of the event you want to assign coupon, open the tab Discounts & fees, configure the Use Discount Code: field in the Event Pricing section. 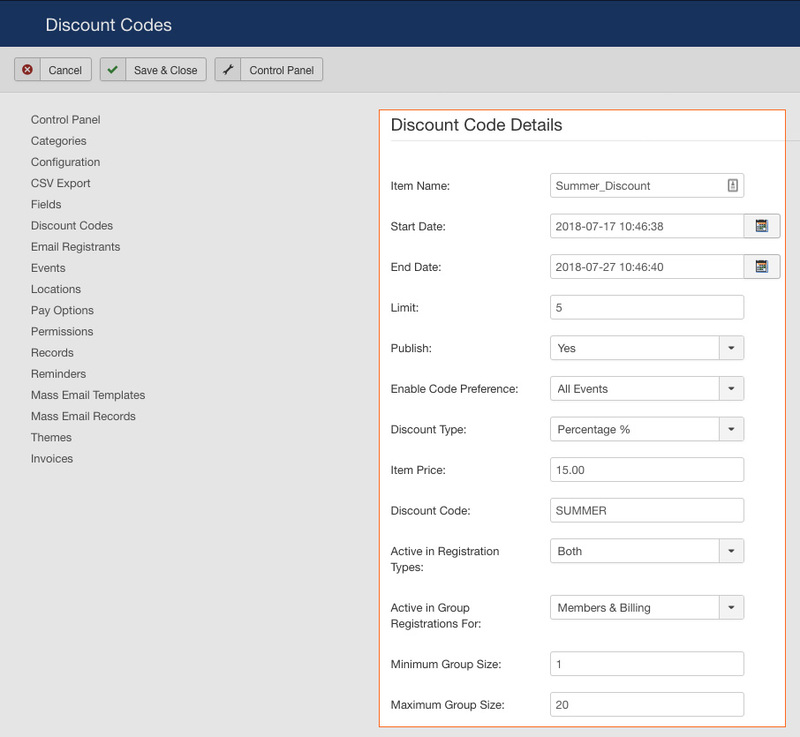 In front-end, the coupon code field will be shown in the event registration form, user can add the coupon code to get discount.